That's right, now we're just checking off minor events that are getting in the way of baseball starting. Valentines Day, check. Presidents Day or whatever excuse Massachusetts is giving us to not work today. Check. 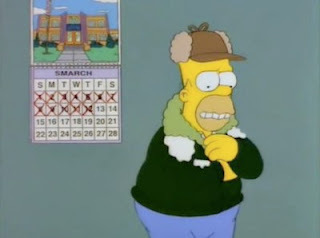 The rest of the February and all of March is really uneventful in the holiday department so from here on out we're on cruise control (assuming we can avoid any "Smarch" weather). Now it's all about who shows up to camp in what kind of shape talking about whatever contract they're looking for and the question that is looming over all our heads: Will NESN finally give us a Heidi beach party montage? Yup, that's baseball.